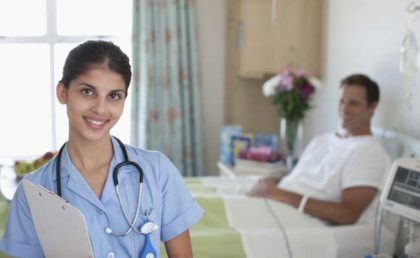 Kochi: The UAE government has decided to relax norms regarding a three year degree being an essential qualification for government hospital nurses working in the UAE . This has come as a relief to those wanting to and those already working in healthcare facilities in the UAE. However, fresh recruits wanting to pursue a nursing career in the region have to possess a 3 year degree in nursing to be eligible for jobs in the UAE. Earlier, diploma holder nurses working in the UAE facilities had to face down gradation in the absence of a 3 year degree qualification, besides the job insecurities that came along due to the prevailing norm, The new order states that degree courses would not be mandatory for those already working in government hospitals. The Health Ministry’s order was handed over to Shamsheer Vayalil, NRI Commission Member & Founder and Managing Director, VPS Healthcare. VPS also manages VPS Lakeshore Hospital, Kochi. A 1500 strong force of diploma holding Malayali nurses work in government hospitals in the UAE. Due to the earlier laws, many of the nurses were downgraded from registered nurse status to one of a practical nurse, salary and other benefits being cut short as well.